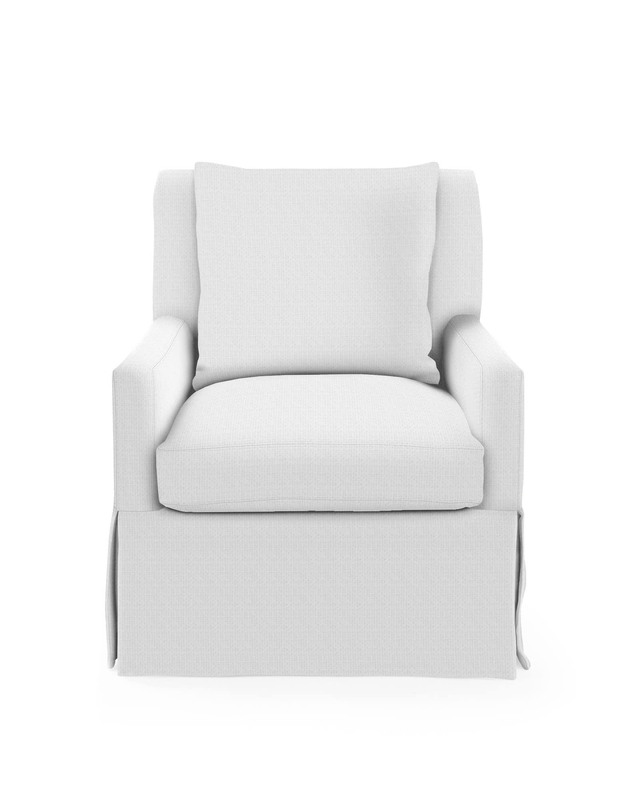 Jamieson ChairJamieson Chair, alt="Jamieson Chair, "
Print A silhouette that’s long on style and sink-in comfort. 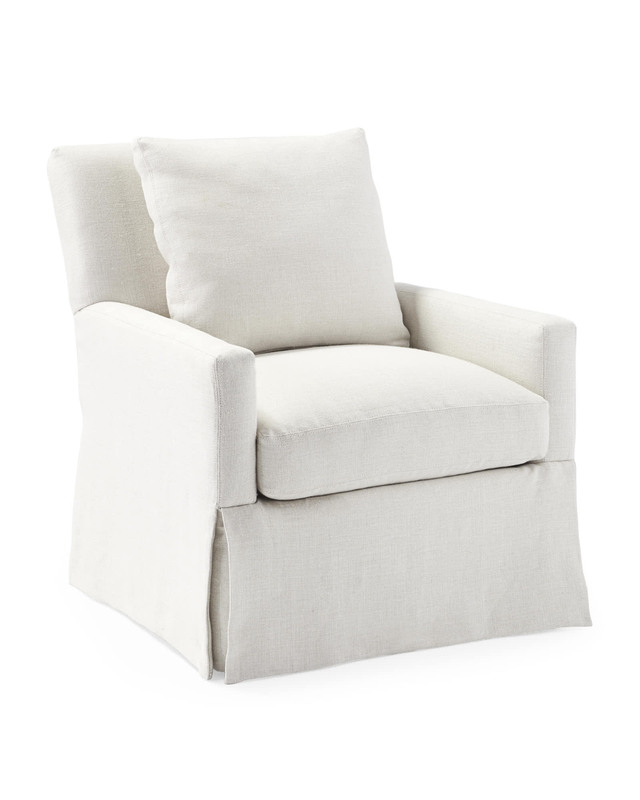 The slim lines are made all the more current with the addition of four slightly downsized back pillows. A skirted base brings a casual sort of elegance. Seat cushions made of down-wrapped, soy-based foam, covered in pure cotton ticking. Legs have a hand-applied Dark Walnut finish. 29”W x 34”D x 35”H overall.